Still taking Knife orders for christmas! Made in BC! Thread: Still taking Knife orders for christmas! Made in BC! 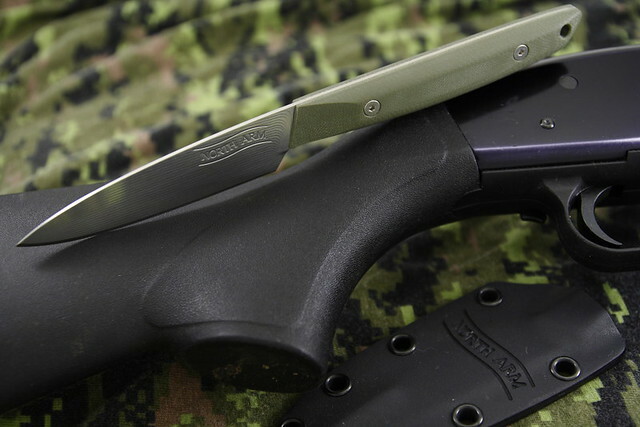 North arm knives is a father and son company based in Burnaby! We do all of our production in house using top quality materials. The steel we use holds an edge longer than almost any mass produced knife. It is common for customers to do a whole moose or elk, or a couple of deer without touching up their knife. When you purchase one of our products, you are getting a knife that will be a joy to use and last a lifetime. You're also supporting conservation in BC (we work with multiple organisations) and last but not least, you're supporting two fellow BC outdoorsmen! Mallard bird and trout. Great for fish and small game but also very useful for butchering large game! Lynx 3.8" Hunting Knife. 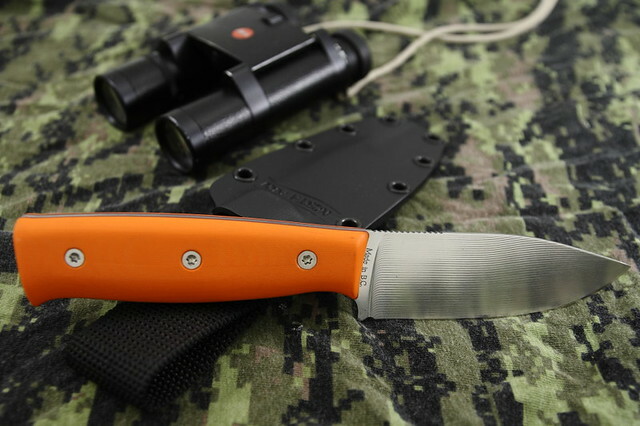 Our standard hunting knife. Great for field dressing, skinning and and general outdoors tasks. Blade length: 6.25" or 9"
Blade thickness at spine (6"/9"): 0.06″ or .065"
Re: Still taking Knife orders for christmas! Made in BC! And thank you for the great product!